Aug. 11, 2018 - During the impeachment process of Ali Rabie, the labor minister of Iranian regime President Hassan Rouhani’s cabinet, an interesting light was shed on just a small portion of corruption in Iran. According to the state-run Khabar Online website, this impeachment literally transformed into various MPs unveiling secrets about their rivals’ roles in corruption. Ali Rabie himself made a series of accusations against MPs close to Iranian regime Supreme Leader Ali Khamenei. “Head of the Health Department in the city of Sabzevar is a woman known to everyone. However, I was placed under pressure to either sack this individual or face impeachment… They order me to deposit 4-5 billion rials annually into the bank of a certain individual (from around $95,000 to $120,000 based on the fixed official rate of 42,000 rial/$)…” he said, cited by the state-run ISNA news agency. In response, another MP by the name of Mohammad Reza Pour Ibrahimi accused the Trade Ministry and Rabie himself of not presenting the petrochemical industry currency and therefore disrupting the country’s entire economic status quo. MP Mahmoud Negahban said corruption is rampant in the Labor Ministry’s Economy Office, describing senior officials in this ministry as opportunistic and more concerned about their own riches, according to the state-run Fars news agency. Corruption has spread to all aspects of the Iranian regime, including the so-called parliament. What is the source of all this millions massive spending? It is quite obvious that Rabie and his deputy were digging deep into the Labor Minister’s various departments, such as the Social Security Organization, meaning the pockets of Iran’s workers and retired clerks.  Iran’s Social Security Organization is a large trust entity and various factions of the mullahs’ regime have for years sought to literally plunder this entity, leaving many retired clerks and workers without any guaranteed support during their retirement years. At least 250 companies and 1,200 holdings, along with major stocks in Iran’s Bank of Welfare and Shipping. Large hotels and Iran Air planes are other assets of this organization. Shesta’s capital of this organization is actually the end result of hard work by more than 12.6 million insured employees, workers, and store-owners. Deprived workers and clerks make up the majority of Iran’s population living in poverty and many of them are barely making ends meet. This is more reason why protests in Iran are expanding and the people are demanding regime change.